The new “streamlined” procedure from June 2014 does not provide any additional legal protection or finality. To be blunt, the government has used the FBAR as a “trap” for the taxpayer. See, Why the Zwerner FBAR Case is Probably a Pyrrhic Victory for the Government – for USCs and LPRs Living Outside the U.S. (Part II). If the individual did not check the right box on Schedule B, Part III, therefore the government may well argue they were “willfully blind” of the requirements of filing FBARs, even if they did not know of the filing requirements. The FBAR regulations are extremely complex and I am confident few tax experts anywhere in the world could take a basic exam of what is a “financial interest in” and “signature authority over” such accounts according to these regulations and get more than about 75% (a “C” or maybe “D” grade) of these questions rights. See, Take Caution when Completing a “Tax Organizer” Provided by Your Tax Return Preparer. The problem with this streamlined process is there is no protection from penalties for failure to file tax returns, failure to file information returns, failure to file FBAR forms; nor from IRS audits of prior years (when the statute of limitations is still open), etc. In short, the IRS (or the Justice Department) can always fully pursue a USC or LPR who has not properly filed U.S. income tax returns, information returns on foreign assets or FBARs for prior years, as provided under the law. In the meantime, the government will never be required to refund the so-called “5% miscellaneous offshore penalty” (which of course is not a penalty under the law in the first place), pursuant to the very terms of the Certification. The taxpayer waives ” . . . all defenses against and restrictions on the assessment and collection of the [5%] miscellaneous offshore penalty.” It is a one way street. In addition, the individual is now subjecting themselves to potential greater liability in the event the government ever wants to challenge the certification made under penalties of perjury. Indeed, the certification is not drafted in the words of the taxpayer, but rather the U.S. federal government. Many practitioners have been analyzing and parsing the meaning of “negligence” and “inadvertence” and “mistake” that is a “good faith misunderstanding” of the requirements of the law. It’s entirely unclear how these terms will be interpreted by the government in any particular case. Certainly the vast majority of these cases that are entered into this system will not be challenged; if for no other reason the limited resources of the IRS. However, there are so many ways they can be challenged against any particular taxpayer. What if a taxpayer threw away the monthly bank statements for the year 2012 regarding a foreign account? Will that be a breach of the Certification? Will all bets be off against the taxpayer? The terms of the certification seem to provide such a result. I suspect we will see cases where the government will go after (selectively) some taxpayers who enter into the streamlined process. They cases they will select are the ones they think the taxpayer should have gone in under the OVDP. That will be the determination of the government, not the individual taxpayer; and hence can put the taxpayer in further jeopardy. Finally, the most troubling issue of this program for U.S. residents, is they are agreeing to pay something that does not exist under the law and may have no correlation with any income taxes owing; i.e., the so-called “5% miscellaneous offshore penalty.” Why should a “good faith” taxpayer be paying any portion of their principal to the government, if they made an inadvertent mistake of what are typically very complex provisions in the tax law? A basic example can demonstrate the injustice of this approach. Taxpayer Pierre, moves from France to the U.S. some 10 years ago. He was an accounting major in France and practiced as an accountant before becoming a business and property manager. His English is horrible and he relies upon a tax return preparer at “J&Q Blockhead Return Preparers” who only speaks English. His return preparer has never asked good questions, about if he has any non-U.S. assets, as he meets with him for 60 minutes each year after taking his W-2 and 1099 forms to the office as requested. Pierre inherited from his non-U.S. citizen parents accounts in Switzerland and France with a value of US$3M and some real estate outside Paris worth approximately US$2.5M that generates rents monthly. His return preparer always sent his returns with the “No” boxes checked on Schedule B, Part III and never filed FBARs or IRS Form 8938. See, USCs and LPRs residing outside the U.S. – and IRS Form 8938. Pierre was told by his French tax advisers, who are very sophisticated, that the U.S. should not levy tax on his European assets; but rather he should only pay tax in France and Switzerland on these assets. Assume the taxes withheld at source in Europe are greater than the U.S. income tax that would be generated on this income; hence he can fully credit (with the U.S. foreign tax credit) the U.S. federal income tax, except about $700. Pierre reads the news release on a French news website of the new “streamlined” program announced by the IRS in June 2014. He asks his return preparer about it – who has no idea what he is talking about. What is Pierre to do? Why should Pierre pay approximately US$325,000 (5% of US$6.5M) to participate in this program when he owes less than US$1,000 of federal income tax? How is the payment of US$325,000 that is not contemplated under Title 26, a correct result under the law? That is the risk Pierre will have to take; (1) comply with the law under Title 26 as amended returns are contemplated and risk the government will pursue him for 50% willfulness penalties (as the failure to file IRS Form 8938 – should be only for 3 years at $10,000 per year) or (2) be forced into a “streamlined” procedure that will make him pay a large portion of his family inheritance from Europe to the U.S. since he did not file IRS Form 8938 or FBARs. Ineligibeility for a SSN after Taking Oath of Renunciation – TINs, ITINs, EINs, etc. USCs and LPRs residing outside the U.S. have been increasingly renouncing their citizenship and abandoning their lawful permanently residency status, respectively. In some cases, individuals who have lived virtually all (or all) of their lives in a country other than the U.S. are a lmost making a “knee jerk” decision to renounce. The statistics as to the absolute number and relative increases are astonishing. See, Wow, the number of 2,999 U.S. citizens who renounced in the year 2013 shattered the prior record set in 2011 of 1,782 renunciations. Why so many renunciations? Also, see, Why do I have to get a Social Security Number to file a U.S. income tax return (USCs)? The only way an individual can avoid becoming a “covered expatriate” is by filing U.S. federal income tax returns and being able to satisfy the certification requirement of Section 877(a)(2)(C). Accordingly, if a SSN is not available, the former citizen will need to file for an ITIN, as explained in previous posts. Why do I have to get a Social Security Number to file a U.S. income tax return (USCs)? U.S. citizens who meet certain income thresholds (currently about US$10,000 for individuals not filing married-jointly; and about US$20,000 for individuals filing married-jointly) who reside outside the U.S. have no choice but to obtain a SSN in order to file tax returns under U.S. law. See the specific income thresholds for who is required by law to file a U.S. tax return, here. The exceptions referred to above where a SSN is not required in these regulations are principally for individuals who are not U.S. citizens and not eligible to obtain a SSN. See, Social Security Numbers for Noncitizens as published by the Social Security Administration (“SSA”). Any U.S. citizen is eligible for obtaining a SSN. For information regarding applying for a SSN, see the SSA website. 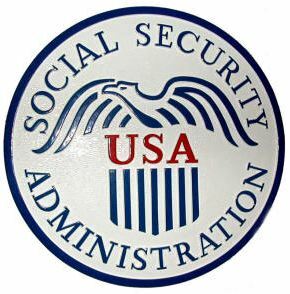 Ironically, it can be very difficult (nearly impossible in some cases) for USCs who have spent most (if not all) of their lives outside the U.S.; considering the methods of proof required by the SSA when the Application For a Social Security Card (Form SS-5-FS) is submitted. Once a SSN is obtained, the USC is required to complete IRS Form W-9 vis-a-vis third parties providing them proof of their status and SSN. More will be discussed in later posts about how to get a SSN overseas from a U.S. Embassy and some Consulate offices. Also, see, The Catch 22 of Opening a Bank Account in Your Own Country – for USCs and LPRs. Does the IRS investigate United States Citizens (USCs) and Lawful Permanent Residents (LPRs) residing overseas? One issue on the minds of many United States Citizens (USCs) and Lawful Permanent Residents (LPRs) living overseas (overseas from a U.S. perspective – i.e., offshore from a U.S. perspective) is whether the IRS investigates these individuals. First, there has been a much greater focus during the last 6 years on foreign, international tax matters. That focus continues under the current Commissioner. Second, the IRS has been opening offices internationally in different countries. Most recently, an office in Beijing, China. Third, with additional information that will be collected under FATCA (starting in 2015 for information for the calendar year 2014), the IRS will have additional information to sort, examine, audit, etc. This will undoubtedly cause more substitute for returns to be automatically generated by the IRS for those individuals who have not been filing U.S. income tax returns. Fourth, the offshore voluntary disclosure program has been a treasure trove of information for the government regarding non-U.S. banks and non-U.S. advisers (bankers, accountants and attorneys). Fifth, the deferred prosecution agreements entered into with various Swiss financial institutions will be an additional source of information regarding USCs and LPRs and their accounts and assets. Use any new address or new asset information received from the passport office as discussed above. has assets in a treaty country. The Treasury Enforcement Communications System (TECS) is a database maintained by the Department of Homeland Security (DHS), and it is used extensively by the law enforcement community. It contains information about individuals and businesses suspected of, or involved in, violations of federal law. Revenue officers can also request information housed in TECS on past travel that a taxpayer has made to and from the United States. Many of the taxpayers entered into TECS for a DHS lookout indicator are International ones because the cases usually concern persons who reside abroad. However, domestic taxpayers may also be entered into TECS if we have been unable to locate them and if they are believed to travel outside the US . Taxpayers placed on TECS are often not subject to ordinary administrative and judicial collection procedures because they frequently reside outside the jurisdiction of the US Courts. Information derived from placing a taxpayer on TECS can facilitate contact with these taxpayers or provide asset information which, in turn, may facilitate collection of their delinquent liabilities. IRM 9.4.2.4.2.5.3, Other IRS Functions, also discusses TECS and prescribes the use of Form 5523, TECS Query Request, to request information from TECS. However, SB/SE Collection Field (FC) employees should not use Form 5523. Consider the following example as an illustration of how using TECS to place a taxpayer on the DHS lookout indicator list could help in your casework. Example: A FC RO has a balance due taxpayer in his/her inventory and he determines the taxpayer resides in Norway. The RO transfers the case to International. The International RO determines the taxpayer is “Unable to Contact” and closes the case from open inventory. The RO requests that the taxpayer be placed on TECS. One year later, the taxpayer travels to the US and initially arrives at an airport in New York. Upon the taxpayer’s arrival, Customs and Border Protection (CBP) informs the TECS Coordinator where the taxpayer is ultimately traveling to, how long the taxpayer plans to stay, and on which flight(s) the taxpayer will be departing. The taxpayer will be staying in Denver for one week. The ROs who had previously worked the case had not been aware of any connection the taxpayer had to Denver. The TECS Coordinator notifies the group manager (GM) in International who is responsible for cases in Norway (the country in which the taxpayer resides). The International GM issues an OI to the Collection group working the location in Denver where the taxpayer is staying. The GM in Denver assigns the case to an RO, and the RO meets with the taxpayer and secures a financial statement. When this happens, the IRS learns about the taxpayer’s assets for the first time as other research methods and attempted contacts were unsuccessful. The RO provides the information to International and closes the OI. After the OI is closed, the International RO does further research once he/she is aware of the Denver nexus. He/she discovers the taxpayer has real property held in the name of a trust and files a nominee lien. More posts to follow on specific steps taken regarding investigations by IRS of USCs and LPRs living outside the U.S.
How the world has changed since the 1960s; or rather how the world has remained the same and we humans have changed it so!?! Imagine the shock and fear one might have if they learn they are a U.S. citizen while at the same time learning about U.S. citizenship based taxation of worldwide income regardless of where one lives. I use these terms purposefully, because a U.S. citizen who has spent almost all of their lives in the U.S., will likely have the sam reaction if they were born in another country and they were just told they should have been filing tax returns and detailed bank account reports for the last several decades under the law of that country (e.g., France, Canada, Libya, Mexico, South Africa, Germany, Eritrea, etc.). That person would probably be shocked and would also have some “fear” – depending upon which country is identified. See, Why Section 7701(a)(50) is so important for those who “relinquished” citizenship years ago (without a CLN). . . This “shock and fear” was recently on display with a client who realized (rather should I say – “thought”) he was a U.S. citizen and therefore a U.S. income tax resident. 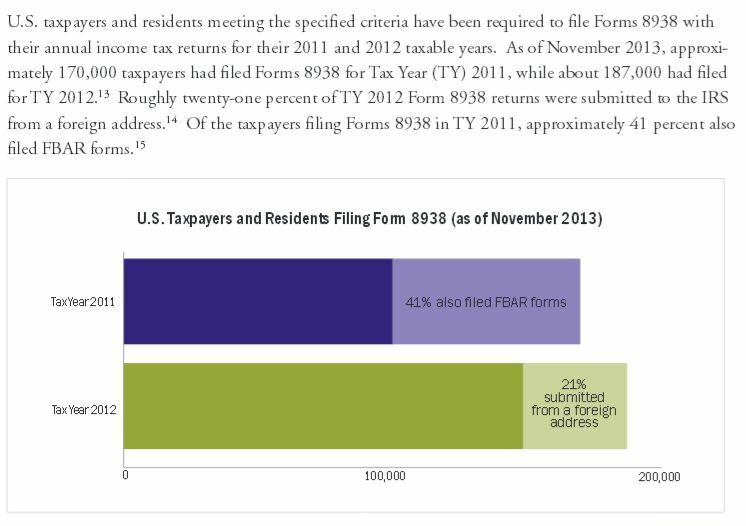 For more background on U.S. citizenship and taxation, see – Sometimes Old is as Good as New – 1998 Treasury Department Report on Citizens and LPRs. Imagine you have lived all of your life in your home country, for decades and decades. You were raised, educated and built your business or profession in your home country. Indeed you have become quite successful in your own country after a long life dedicated to your work. However, by a pure act of arbitrariness (at least as far as you are concerned – since it was your mother who gave birth – without any input from you), you were born on U.S. soil. For those of us who live along the international border, this is a common occurrence. Here in San Diego, the border crossing is one of the busiest land crossing in the world (if not the busiest). The U.S. federal government has reported (in the year 2000, which was presumably much less busier than today) it “ . . . processed over 41.5 million northbound passengers in personal vehicles and 8 million northbound pedestrians.” That is nearly 50 million going northbound, not counting the border crossing going southbound to Mexico. Needless to say lots of Canadians and Mexicans are born in the U.S. as part of the transit to and from the U.S., just along the borders. This gentleman was born in the border town of Brownsville, Texas, many decades ago, where thousands of Mexicans are born to this day. He took an oath of allegiance to the Mexican government in the 1960s as was required at that time pursuant to the Mexican Constitution, so as not to lose Mexican citizenship. See, the 1997 article by Paula Gutierrez in the LMU of LA International and Comparative Law Review, Mexico’s Dual Nationality Amendments: They Do Not Undermine U.S. Citizens’ Allegiance and Loyalty or U.S. Political Sovereignty. Recently, his U.S. citizenship and tax journey began after some 40+ years. The redacted CLN from the 1970s is part of the story. what penalties (if any) he might have vis-à-vis U.S. law? In this case, the basic fact that he never remembered taking these specific steps back when he was a teenager of 18 years of age and shortly thereafter as a young man. He never notified the IRS of his USC renunciation (or maybe you prefer to call it relinquishment – though there is no clear legal distinction between these two terms) pursuant to Section 7701(a)(50). – See, Why Section 7701(a)(50) is so important for those who “relinquished” citizenship years ago (without a CLN). . .
His story, fortunately has a very happy ending considering the application of Section 877, et. seq. This admonition might sound a bit silly, considering we are talking about a “Tax Organizer”; which is often (but not always) provided by the tax return preparer to their clients simply to collect and organize information. It’s a communication between the taxpayer and the tax return preparer. Tax Organizers come in all shapes, flavors and colors and have no real legal significance in and of themselves. They ask a range of questions and request various information from their taxpayer clients. They are meant to help taxpayers coordinate their information to provide the better organized information to the office of the tax return preparer in finalizing and preparing the tax return. The AICPA has a sample Tax Organizer that is 95 pages in length. Most taxpayers quickly lose patience with detailed Tax Organizers and feel they are doing the work the tax return preparer is supposed to do in the first place. Some taxpayers simply do not complete these Tax Organizers, or do so summarily, with only partial information provided. In years past, Tax Organizers often did not ask any questions or information about foreign bank accounts or foreign financial accounts. There are still plenty of Tax Organizers that are being used, which do not expressly raise this question. The first set of questions in the image at the beginning of the post, is from a Tax Organizer that asks a series of questions regarding foreign accounts. This becomes important due to the law of Title 31 regarding foreign accounts. Of course, for the USC and LPR residing outside the U.S., their accounts in their home country of residence are necessarily “foreign accounts” as defined under the law, even if they are in the country where the person resides (which does not sound “foreign”). See, *Nuances of FBAR – Foreign Bank Account Report Filings – for USCs and LPRs living outside the U.S. The admonition in this post is because the government has made Tax Organizers a very big deal in cases where they have asserted the 50% civil willfulness penalty (including for multiple years in Zwerner). The government argued vociferously that since the taxpayers checked the box “No” on the Tax Organizer regarding foreign accounts, in both the Williams (very bad facts – due to admitted tax criminal conduct) and the Zwerner cases, this indicated the taxpayers had either “constructive knowledge” or were “willfully blind” as to the requirements they had under the law to file FBARs. See, FBAR Penalties for USCs and LPRs Residing Overseas – Can the Taxpayer have no knowledge of the law and still be liable for the willfulness penalty? See government memorandum. Of course, filling out an incomplete Tax Organizer with your tax return preparer is not a crime; unless the individual knows the information is false and will be provided to the IRS by their accountant. For a summary of the crime of filing a “false document”, see What could be the focal point of IRS Criminal Investigations of Former U.S. Citizens and Lawful Permanent Residents? The “takeaway” from these two cases and how Tax Organizers are used by accountants, is that the individual is probably better off simply not using at all any Tax Organizer. This way, how it was completed (or not) cannot be construed and used against the individual as somehow showing willfulness under the FBAR penalty.